If a number is divided by the previous number it approximates 1.618 (21/13=1.6153, 34/21=1.6190, 55/34=1.6176, 89/55=1.6181). The higher the numbers, the closer one will get to 1.6180. If a number is divided by the next highest number, it approximates .6180 (13/21=.6190, 21/34=.6176, 34/55=.6181, 55/89=.6179 etc….). The higher the numbers, the closer one will get to .6180. 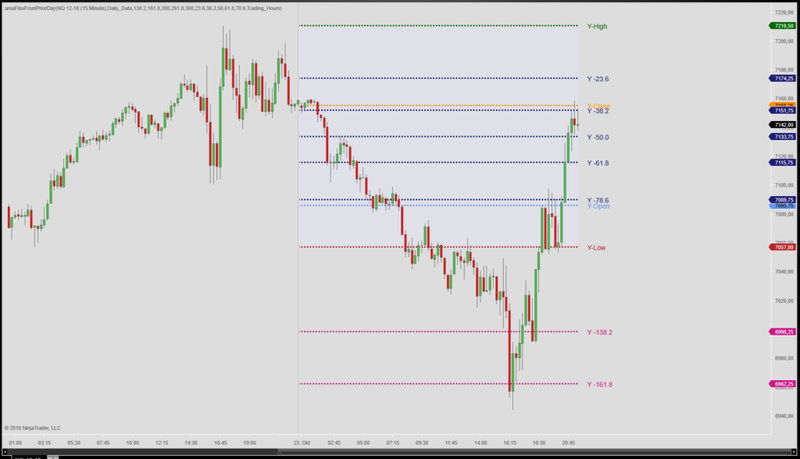 This is the basis for the 61.8% retracement. If a number is divided by another two places higher, it approximates .3820 (13/34=.3823, 21/55=.3818, 34/89=.3820, 55/=144=3819 etc….). The higher the numbers, the closer one will get to .3820. This is the basis for the 38.2% retracement. Also, 1 – .618 = .382 (!). If a number is divided by another three places higher, it approximates .2360 (13/55=.2363, 21/89=.2359, 34/144=.2361, 55/233=.2360 etc….). The higher the numbers, the closer one will get to .2360. This is the basis for the 23.6% retracement. 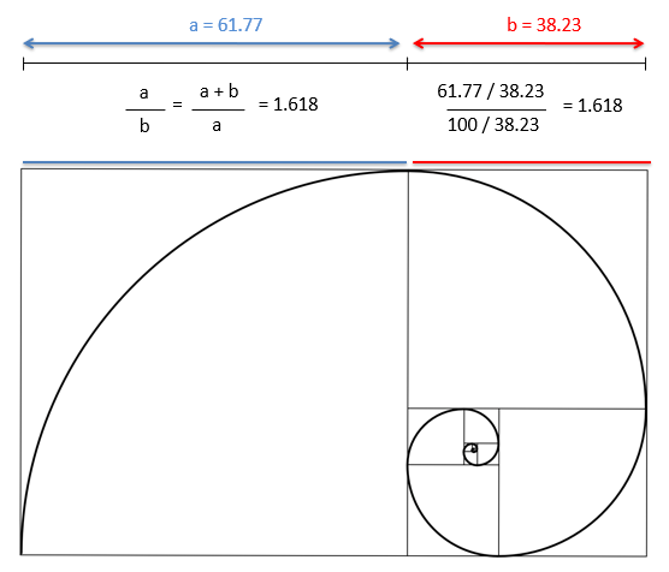 Fibonacci extensions are calculated when a move retraces more than 100% of its prior high/low (breakout). By applying the vertical distance from the prior high low and adding one of the key Fibonacci ratios to the prior high / low, one may locate target areas. For example, one may use the -138.2% level as a target for a breakout to the downside. Conversely, the 138.2% extension can be used as a target for a breakout to the upside. Of course, Fibonacci extensions only come into play once the market is setting new highs or lows, and when there’s a lack of other clear support resistance levels. Fibonacci retracements and extensions should be combined with other indicators and price action scenarios. One option is using Volume Spread Analysis to identify imbalances between supply and demand. Generally, climax and churn bars can be used to identify when a pullback or bounce is likely to have run it’s course. We have created a short tutorial video on how to identify those scenarios using Bloodhound from Shark Indicators. As a favor, we ask you to fill out a quick survey we’re doing on our products and services. Please find a link to that below, along with the download link for this month’s FREE download for the Fibs from current day indicator.